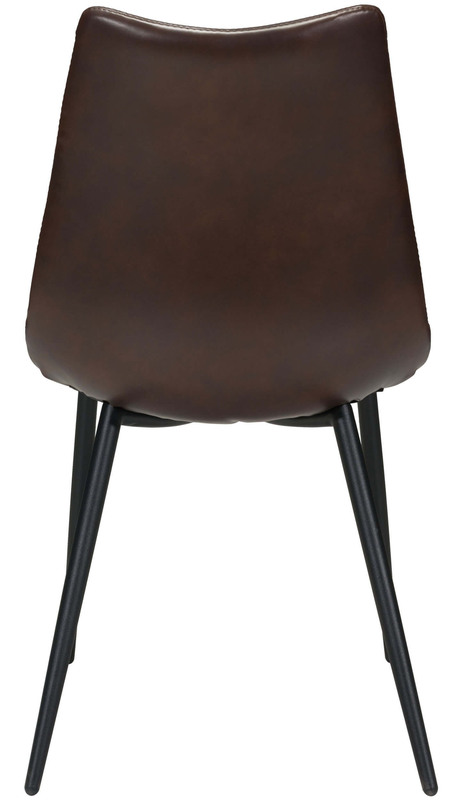 The Norwich Dining Chair offers a classic vintage style with mid-century and features top stitching designer details. 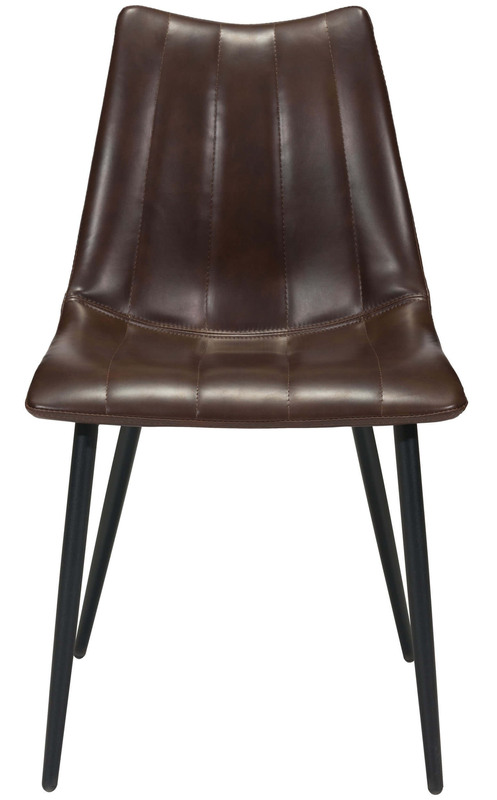 Nowich is made with a molded back and seat, upholstered in vintage black and brown leatherette and rests on solid painted steel legs. 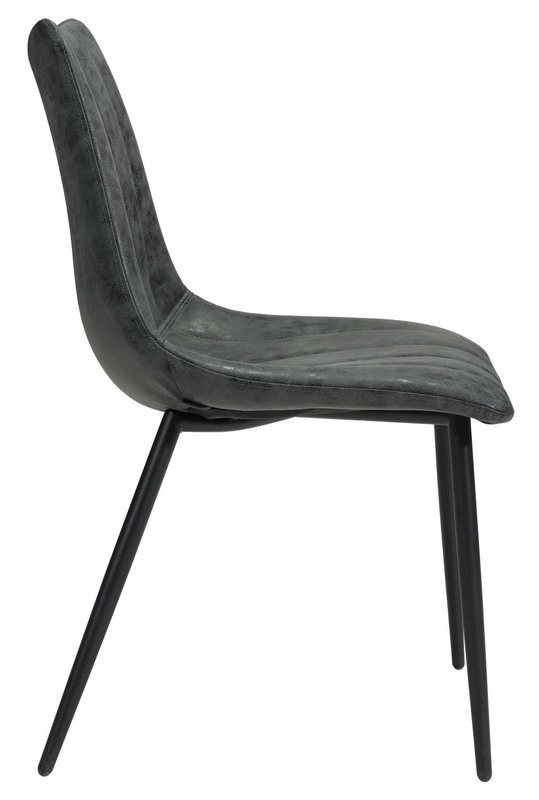 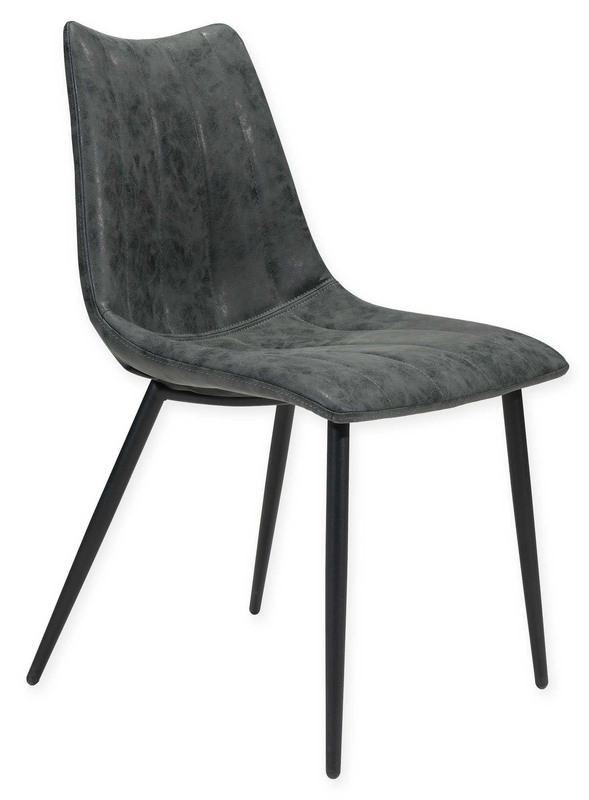 This dining chair is sold in sets of 2 and great for using in a casual dining space.